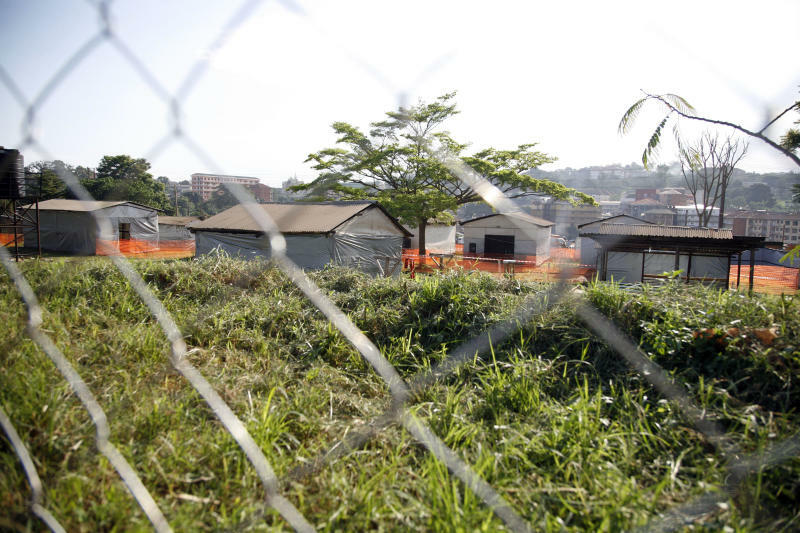 KAMPALA, Uganda (AP) — Scores of Ugandans were isolated on Thursday to prevent the spread of a new outbreak of Ebola which has already killed three people. Uganda has experienced increasingly regular outbreaks of deadly hemorrhagic fevers that have left health officials grappling for answers. 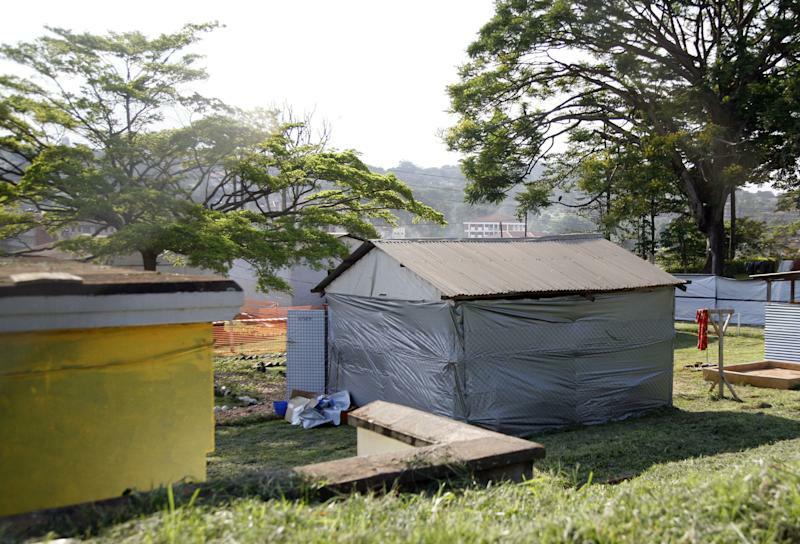 The new Ebola outbreak was confirmed Wednesday in a district 60 kilometers (40 miles) from the Ugandan capital, Kampala. The outbreak comes roughly a month after Uganda declared itself Ebola-free following an earlier outbreak in a remote district of western Uganda. Last month at least five people in a southwestern district of Uganda were killed by Marburg, a hemorrhagic fever similar to Ebola. The latest Ebola outbreak, officials say, is of the Sudan strain of Ebola and not linked to the previous one, of the Congo variety, which killed at least 16 villagers in July and August in the western district of Kibaale. In addition to the three dead in the latest outbreak, up to 15 are being monitored for signs of the disease, officials said. They advised against panic after it was revealed that two possible Ebola patients had since checked into Kampala's main referral hospital. "The Ministry of Health once again calls upon the public to stay calm as all possible measures are being undertaken to control the situation," Christine Ondoa, Uganda's minister of health, said. Ebola is especially feared in Uganda, where multiple outbreaks have occurred over the years, and news of it can cause patients to flee hospitals to avoid infection. In 2000, in one of the world's worst Ebola outbreaks, the disease infected 425 Ugandans and killed more than half of them in the country's north. Another outbreak in 2007 killed 37 people in Bundibugyo, a remote district close to the Congolese border. Denis Lwamafa, the director-general of health services in Uganda's Ministry of Health, suggested that there were more reported cases of Ebola in Uganda than other countries because "our diagnostic capability" has increased. But a World Health Organization official in Kampala said there were progressively more cases of Ebola because of an increase in "the interaction between man and the forests." Investigators believe the first victim of Ebola in any outbreak acquires the disease after coming into contact with a "reservoir," an infected animal that is often a monkey. "Whenever there is contact between man and the reservoir of Ebola then you get the first case," said Miriam Nanyunja of the World Health Organization. Ebola was first reported in 1976 in Congo and is named for the river where it was recognized. There is no cure or vaccine for it. Ebola is "characterized by fever, headache, joint and muscle aches, sore throat, and weakness, followed by diarrhea, vomiting, and stomach pain. A rash, red eyes, hiccups and internal and external bleeding may be seen in some patients," according to a factsheet by the U.S.-based Centers for Disease Control and Prevention. The virus can be transmitted through direct contact with the blood or secretions of an infected person, or objects that have been contaminated with infected secretions. During communal funerals, for example, when the bereaved come into contact with an Ebola victim, the virus can be contracted, officials said, warning against unnecessary contact with suspected cases of Ebola. Nanyunja of WHO said Ugandans near the Ebola epicenter should practice what she called "social distancing," avoiding things such as handshakes and similar contact.